Good morning polished world! How are you all doing this week? I did some MAJOR Christmas decorating this weekend. Not only did I decorate four 7 foot trees at work, I came home and put a crud ton of lights on my house. I'm not going to lie, I'm still quite exhausted from it. Since I knew I was going to be doing all this decorating, I had swatch on my nails so I wouldn't be upset if they chipped. With all this decorating, I literally forgot to post today's pumpkin manicure. Yup, that's right, this post was supposed to go up around Thanksgiving and I completely forgot. 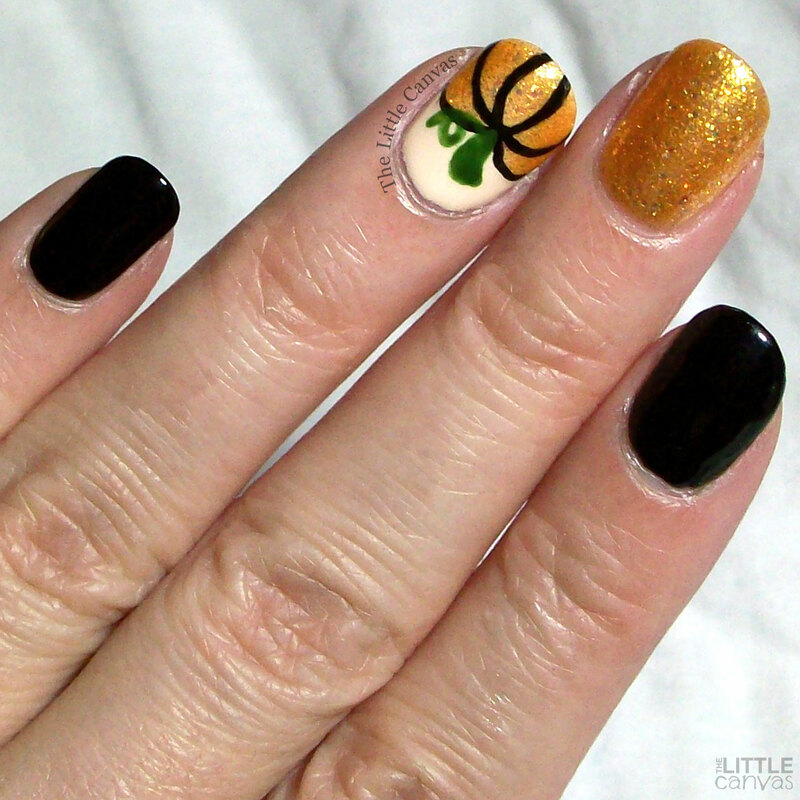 Of course I didn't realize this until I came to the blog last evening to post a different manicure and saw the pumpkin draft just sitting there. Since November isn't over, then it's still perfect timing for me to post this! Fall is just ending, and winter is coming. That means Christmas and snow manicures are coming soon!!! Let's take a look at the pumpkins first. Isn't it cute? I actually did this manicure to match a dress I wore to the Harvest Dinner at work. I was so fall festive that evening. The orange was a perfect Fall orange where I didn't feel like the manicure had a Halloween vibe. Seriously, Zoya Alma is gorgeous. Two coats and full coverage, and I was scared it was going to take more because of the jelly formula. It built up quite nicely. Really was thrilled with this design. First time I attempted this design of a pumpkin and was pleased with the final look. What do you think? Like this design? 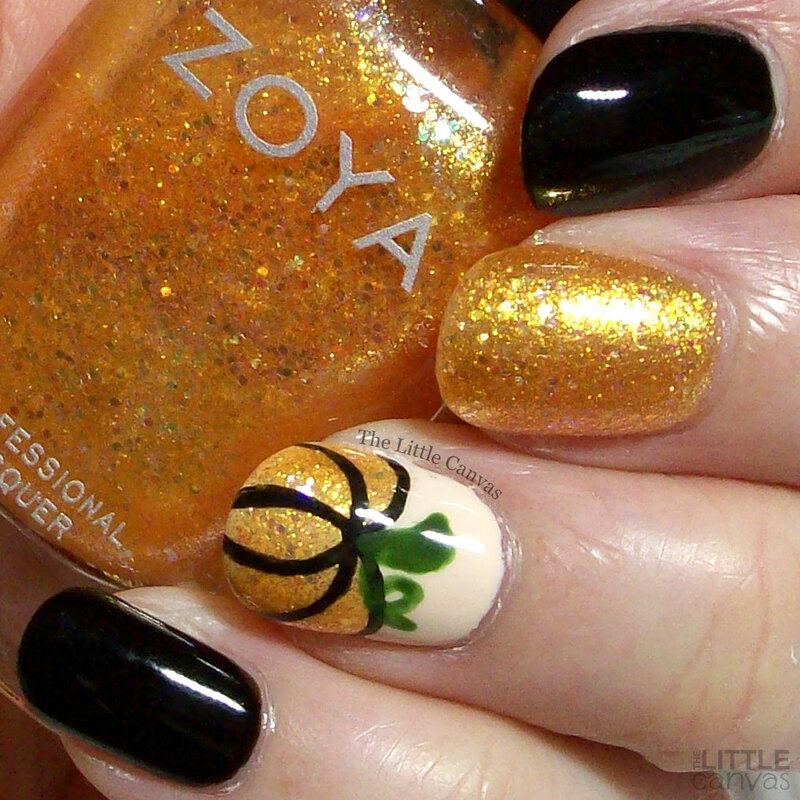 Fan of Alma by Zoya?